By Xah Lee. Date: 2009-12-18 . Last updated: 2019-01-27 . This came out in 2004, discontinued in 2016 or 2017. Backlighting color and intensity are adjustable. LCD displays game stats, system info, or message from other players. Works great in Microsoft Windows. Yes. You have to install the logitech gaming software. G13 does not work with Linux out of the box. Not a single key works. 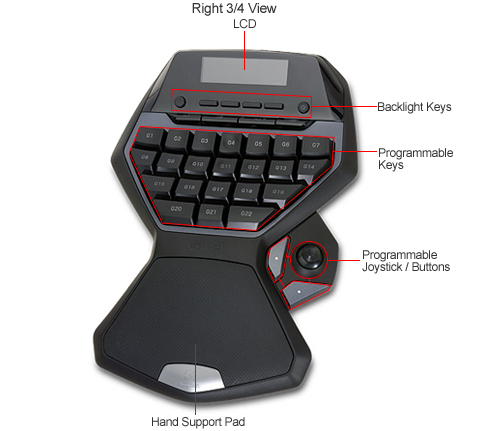 Normally, a Logitech gaming mouse with on-board memory such as Logitech G600 Gaming Mouse or Logitech G700s Mouse , you can setup in Microsoft Windows, then just plug in in Linux, your customized buttons will work. 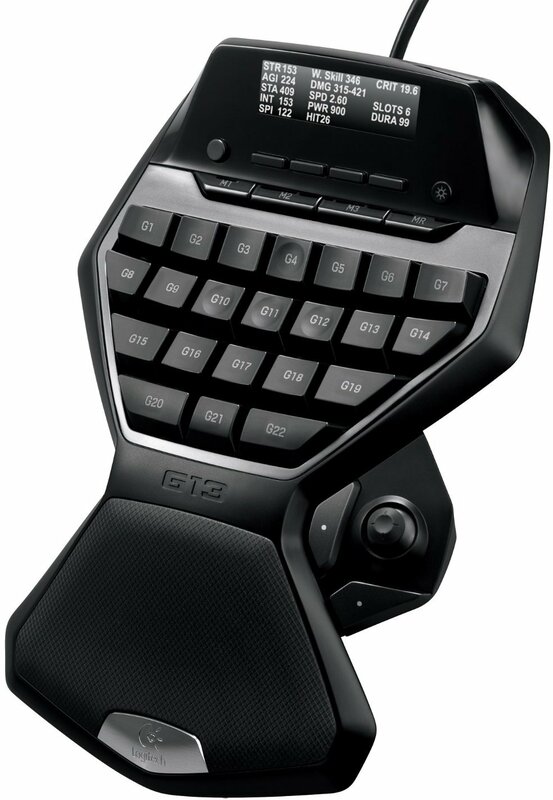 I was expecting the same for the G13. But no, it doesn't work. But there's this linux driver you can try. After eyeing this for years, finally i got it. 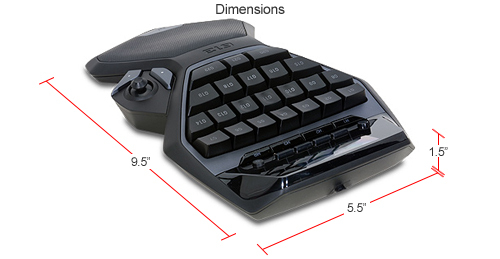 PROBLEM: extremely lousy key feel. The keys are not mechanical, i know, but, it's worse than i imagined. I just can't bear pressing it. The joystick's resistance is high. I don't like it neither. Also, when in linux, it does NOTHING! 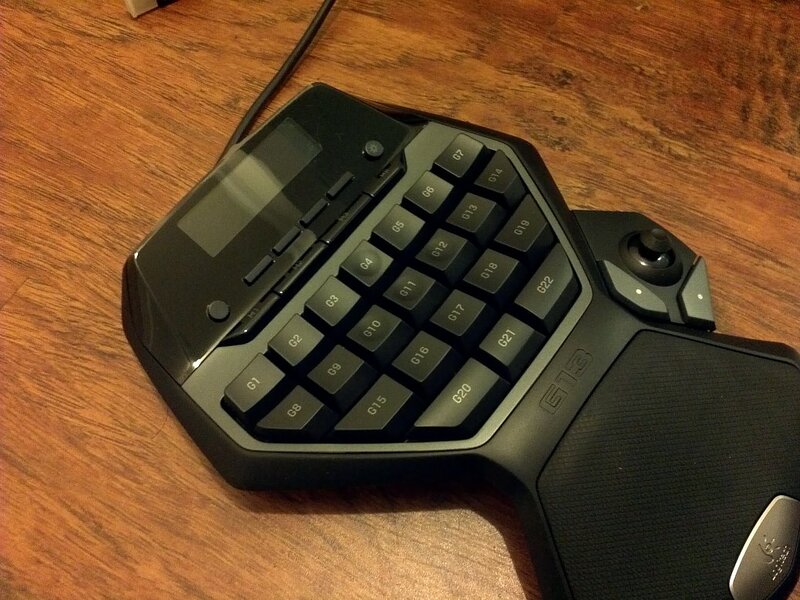 Just to be fair, it works great in Microsoft Windows, and the Logitech software is truly excellent. I would recommend the following instead. 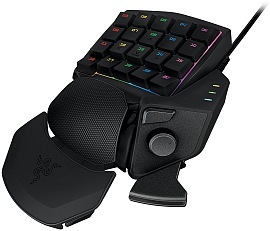 there's also the Razer Orbweaver gaming keypad, but i don't recommend it because it requires to install software and register. here's info for those of you who want to use this on linux. note: you must be familiar with linux commands and compiling. then, go into the directory, make. then run sudo ./g13d, you'll get this. now, the stick work as arrow keys. Other keys will just send “a”. to set the LCD to red. But that didn't work. at this point, am asking myself, is it worth the trouble? trying last time to press the keys or the stick, and thinking whether if i could possibly tolerate it and make it useful for SOMETHING. The answer is no. But if you want, you can go on.